GRAVENHURST — The ice isn’t out of the lakes yet, but it will be out at the Graeme Murray arena here after this weekend’s final three-day hockey tournament of the season. 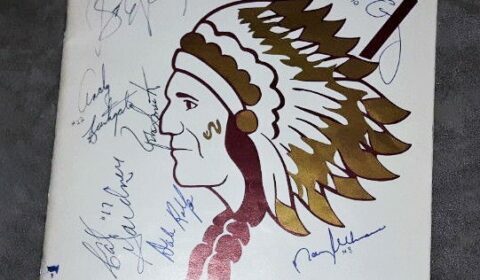 The Indians alumni team plays Friday night and Saturday morning at 11 a.m. The Amazing Grays will be hosting their annual spring fling starting Friday night. And as part of the opening night, they’ll play a game themselves, at 9 p.m. against fellow Gravenhurst team the Goal Diggers. One of the teams participating is an alumni team of the old Gravenhurst Indians Jr. C team. They also play Friday night and Saturday at 11 a.m. and 4 p.m., with Tim Grimes and Ian MacDonald among the players from the early years who are still playing. Teammate Dave Christensen, who is injured, will be behind the bench. They’ll hope to win at least one for their old coach, Bill Reddall, who died last week.